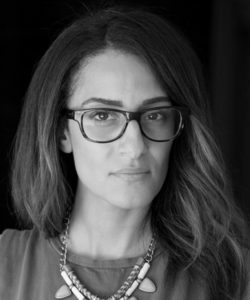 Deana Haggag has been the Executive Director of The Contemporary, a nomadic and non-collecting art museum based in Baltimore, MD, since the spring of 2013. Prior to her work with the museum, she was the Curator-in-Residence at Gallery CA, which is also located in Baltimore, MD in the City Arts building—home to over 90 artists. In addition to her work at The Contemporary, Deana lectures extensively, consults on various public art initiatives, contributes to cultural publications, and teaches at institutions such as Towson University and Johns Hopkins University. She is on the board of the Greater Baltimore Cultural Alliance and council of Common Field, and has served as a member of the Affiliates Board for the Museums and Society Program at Johns Hopkins University and StageOne/FANS council at the Baltimore School for the Arts. Deana was named “10 People to Watch Under 30” by the Baltimore Sun in 2013 and a “Young Cultural Innovator” by the Salzburg Global Forum in 2015. She received her MFA in Curatorial Practice from the Maryland Institute College of Art and a BA from Rutgers University in Art History and Philosophy. Dina Mitrani is the owner and director of the Dina Mitrani Gallery in the Wynwood Art District in Miami, Florida. Opened in 2008, the gallery exhibits work by emerging and mid-career international artists with a mission to exhibit photo-based art and engage the community in artistic dialogues and cultural enrichment. The gallery has been featured in international print and online publications and has received accolades such as “Best Gallery Exhibition” by the Miami New Times in 2013. Dina has a Bachelor’s in Art History from the University of Michigan and a Master’s from Hunter College in New York. Her professional career began at Christie’s in New York and while finishing her graduate studies, curated Latin American photography shows at Throckmorton Fine Art. After relocating back to Miami in 1999, she co-curated an exhibition of photographs from the Margulies Collection at the Art Museum at Florida International University. In 2012, Dina curated “Re-Framing the Feminine: Photography from the collection of Francie Bishop Good and David Horvitz” at the Girls’ Club Collection in Fort Lauderdale. 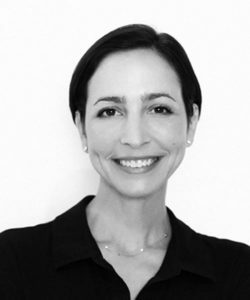 Dina Mitrani currently serves on the advisory board of the new Miami Photo Center of the History Miami Museum and is a founding member of the Miami Art Dealers Association. 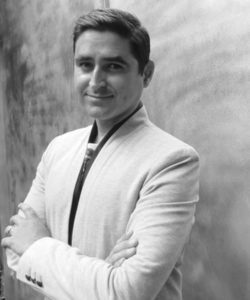 A native of Miami, José Carlos Diaz is the Milton Fine Curator of Art at The Andy Warhol Museum and was recently included in Artsy’s list of “20 Most Influential Young Curators in the United States”. Diaz is currently working on the first museum solo exhibition of Iranian artist Farhad Moshiri. Prior to this he was the Curator of Exhibitions at the Bass Museum of Art in Miami Beach where he curated new artist commissions by Athi-Patra Ruga, Sylvie Fleury and the travelling exhibition GOLD. At the Bass he has organized the exhibitions: Rachel Harrison/Voyage of the Beagle, One Way: Peter Marino, Vanitas: Fashion and Art, and Gravity and Grace: Monumental Works by El Anatsui. Diaz also organized Temporary Contemporary, a public sculpture program, which partners with the Art Basel Miami Beach PUBLIC sector each year. Prior to joining the Bass Diaz worked at Tate Liverpool and the Liverpool Biennal. Diaz received a MA in Cultural History from the University of Liverpool, and a BA in Art History from San Francisco State University. In 2003 Diaz tenured as a curatorial intern at The Rubell Family Collection and launched a nomadic curatorial project called Worm-Hole Laboratory.